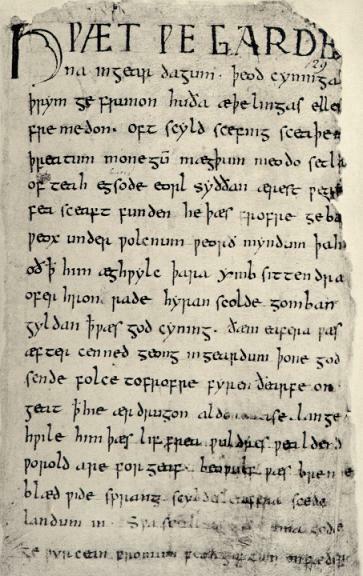 Beowulf is the oldest known peom written in Old English. It give a glimpse into the folklore, myth, and power dynamics of the time in which it was written. It was likely sung in its original form, and was a well known story transmitted by paid storytellers at banquets and other events.